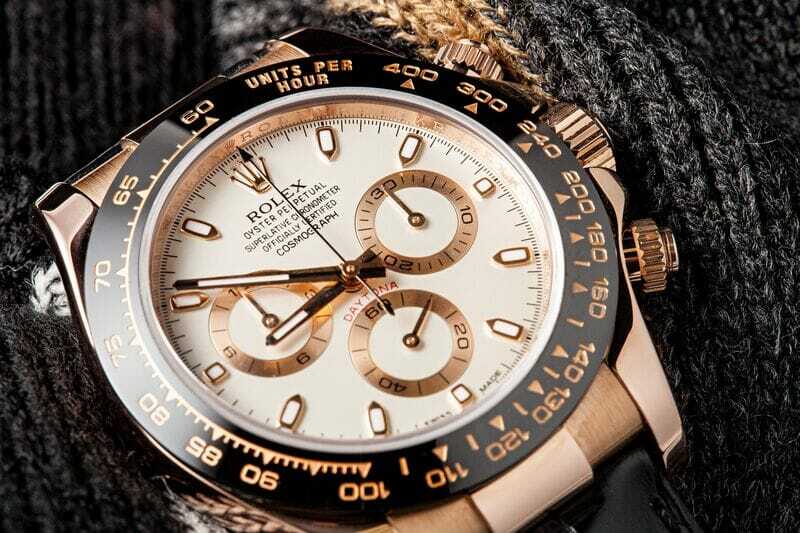 The Rolex Cosmograph Daytona watches are the brand’s family of chronographs, and since its inception in 1963, it has without a doubt grown to be one of the company’s most popular collections. Originally conceptualized with racecar drivers in mind, the Daytona is intrinsically linked to speed and thrill and that excitement comes across in its universal allure. Masculine, precise, and highly attractive, the Daytona chronos are the ultimate Rolex sports watch. 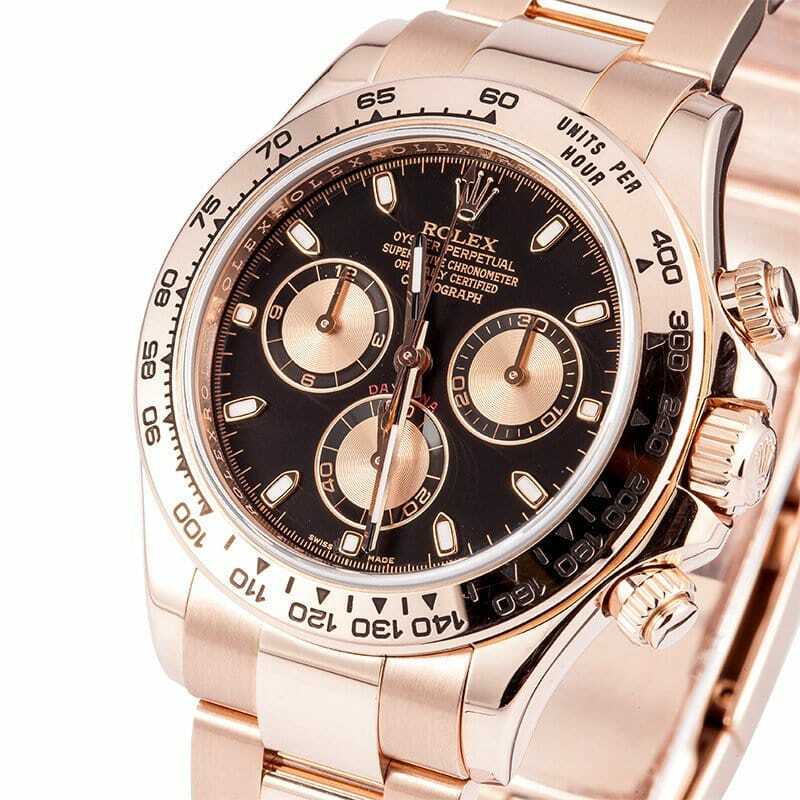 Rolex takes its metals very seriously, and in 2005, it patented a proprietary 18k pink gold alloy that was created in their own on-site foundry and in true Rolex fashion, dubbed it Everose gold. 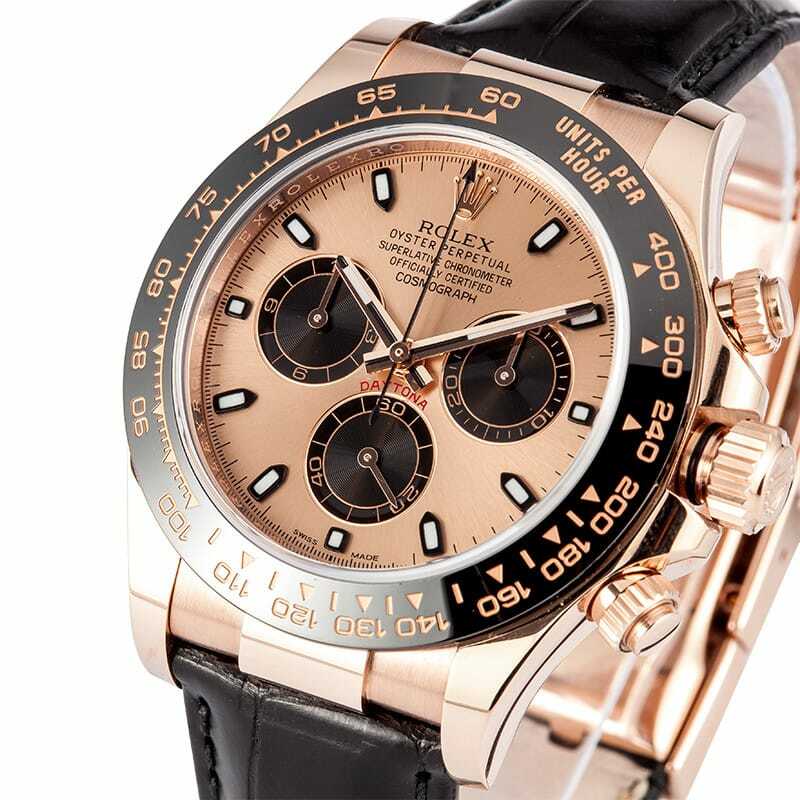 The rosy precious metal then found its way to several of the brand’s collections, including the Daytona lineup where the full Everose model joined in 2008 as ref. 116505. Still part of the current collection, the ref. 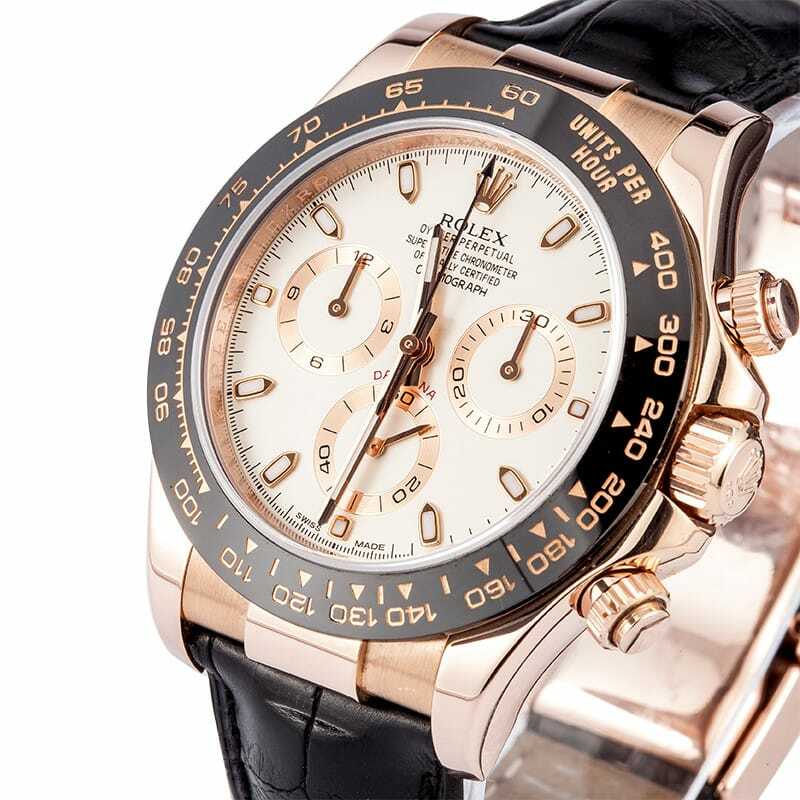 116505 is a striking, and exceedingly luxurious example of the Daytona timepiece. It boasts a full 18k rose gold bezel with an engraved tachymetric scale affixed on the matching gold 40mm Oyster case and is presented on the full Everose gold Oyster bracelet. The chrono pushers, much like the crown, can be screwed down when not being used to seal the case shut and allow the watch to safely go 330 feet under water. Dial options include ivory, black, and pink, with the pink dial version offering a monochromatic style with matching pink subdials or one with black subdials for a more striking contrast. Three years after the launch of the full Everose ref. 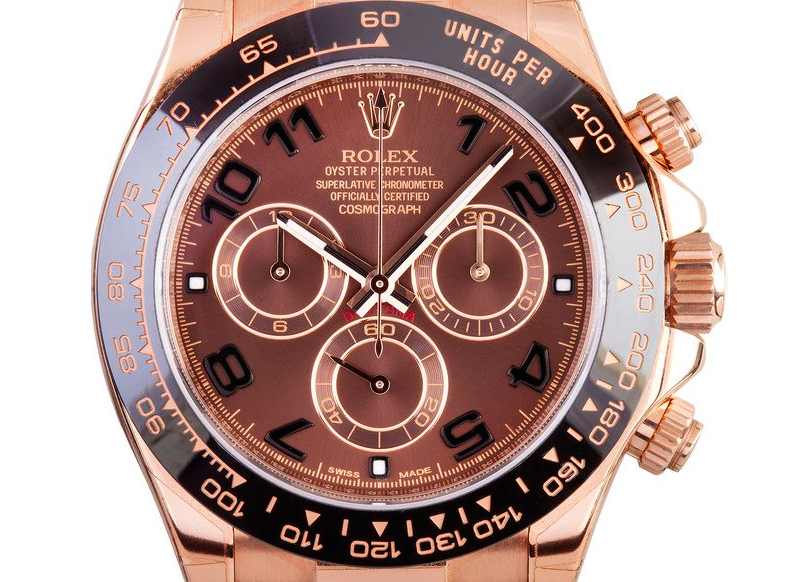 116505, Rolex followed it up with the Everose Daytona ref. 116515LN models in 2011. These new pink gold chronographs kept the 40mm Everose Oyster case but came equipped with a black ceramic bezel and black leather strap. The black Cerachrom ceramic bezel not only adds a very attractive element to the watch, but it is also appreciated by wearers for its endurance to scratching and fading. Leather straps are not that common among Rolex watches since the brand usually opts for metals bracelets, yet the choice of black alligator for this particular reference is on point. 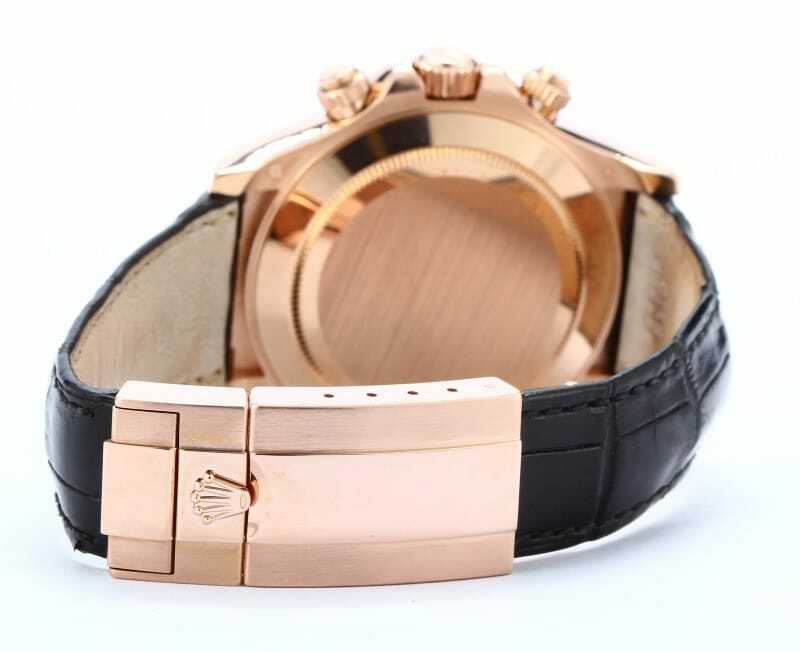 The leather is outfitted with the revamped Oysterlock clasp, also launched that same year, which hides the strap fitting and is naturally also crafted from the same Everose gold topped with the Rolex Crown. The Daytona ref. 116515LN offers a variety of dial choices such as sleek black, elegant ivory, alluring chocolate, and soothing pink, each with its own unique sharp look and appeal. The ref. 116505 and ref. 116515LN watches are powered by the C.O.S.C certified Rolex Caliber 4130 self-winding mechanical movement, which is built with fewer parts than other chronograph movements, making it that much more reliable. 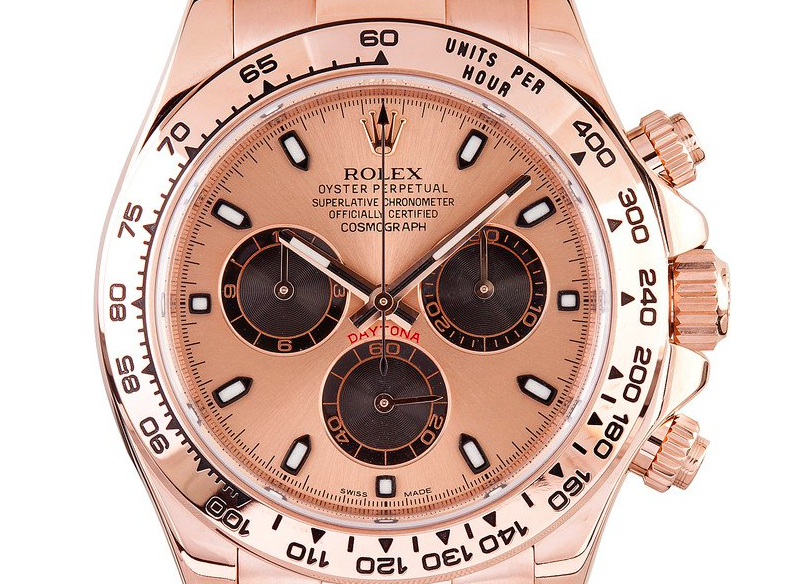 The combining of the soft look of pink gold with the bold aesthetic of the Cosmograph Daytona has produced a truly outstanding group of watches that deserve their top spot at the podium.